Google has revealed that the first smartphones running Android Oreo (Go edition) will become official at MWC next week. The company hasn't named any of the upcoming products, but mentions that some of them will sell for less than $50, which is rather amazing if it pans out (and there are no caveats). Android Oreo (Go edition) is the version of the OS that's specially optimized for low-end hardware. It's a streamlined iteration of Android, which ships with optimized default apps and an optimized variant of the Play Store that highlights lightweight apps. Google tells us to expect 15% faster app performance on handsets with entry-level specs, and twice the free storage as the OS and built-in apps take 50% less space. Phones with this OS will have 1GB of RAM or less, and probably 8GB of storage. Google still promises "a high-quality experience". 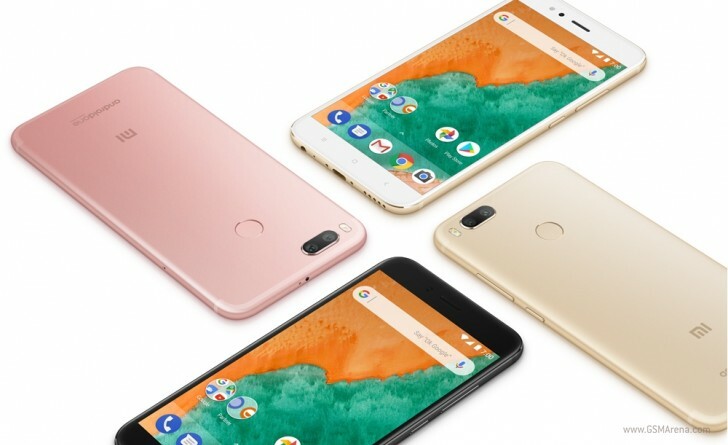 On the other hand, the Android One program (focused on the mid-range segment) has been running for a while now, with Xiaomi's Mi A1 (pictured above) being perhaps its most popular representative. At MWC some of Google's partners will introduce new Android One devices, so it looks like next week will be filled with announcements of phones running stock Android. Android One handsets get "faster" access to OS updates for two years, "including the latest AI innovations from Google", and "regular" security updates for three years. SPut them into apple it will be great. Having buggy and laggy IOS which slowing down my phone thatnk NO. Also give android go to S9 S9+ and Note9 so it can be a bit affordable. For most users.